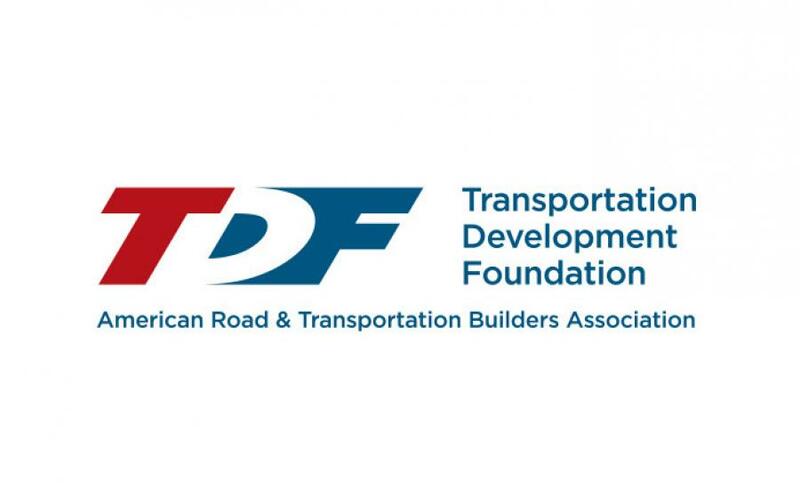 Forty professionals from 17 companies or agencies representing 11 states have earned the "Safety Certification for Transportation Project Professionals" (SCTPP) credential over the past six months, the American Road & Transportation Builders Association (ARTBA) Foundation announced Dec. 18. The certification is valid for three years. Launched in late 2016, the SCTPP program aims to significantly reduce — or ideally eliminate — the 700 motorist and worker fatalities, and nearly 50,000 injuries that occur annually in and around U.S. transportation project sites. It is targeted at significantly elevating safety awareness among the thousands of non-safety professionals in the industry — planners, designers, owners, field supervisors and inspectors — who are in decision-making roles from project conception through completion. The aim is to bring thousands of more "eyes" to the task of identifying and mitigating potential hazards for workers and motorists commonly found in transportation work zones — skills identified through the certification. In May 2018, the program earned the "gold standard" of professional credentialing, achieving American National Standards Institute (ANSI) accreditation under ISO/IEC 17024:2012 international standard. Christopher Adams, project manager, Barriere Construction Company LLC, Metairie, La. Gilberto Almonte, field safety manager, HNTB Corporation, New York, N.Y.
Michael Baldwin, assistant project manager, Superior Construction Company Southeast LLC, Jacksonville, Fla.
David Blair, assistant project manager, Superior Construction Company Southeast LLC, Jacksonville, Fla.
Jesus Bohorquez, field engineer, Superior Construction Company, Jacksonville, Fla.
Kayla Burtner, construction project engineer, Superior Construction Company Southeast LLC., Jacksonville, Fla.
Christopher Demski, HSE manager, Allan Myers, Street, Md. John DeVito, director, Quality Assurance & Construction Safety Bureau, New York City Department of Design & Construction, Long Island City, N.Y.
Patrick Drane, work zone safety manager, Ranger Construction Industries Inc., Winter Garden, Fla.
Eric Eastin, construction manager, Allan Myers, Fallston, Md. Patrick Flynn, division manager, Ranger Construction Industries Inc., Palm Bay, Fla.
Kevin Gartley, project manager, STV Inc., Palatine, Ill.
Travis Gates, project manager, Ranger Construction Industries Inc., Fort Pierce, Fla.
Petros Gregory, regional safety director, AECOM, Kinnelon, N.J.
Daniel Halley, president, Halley Engineering Contractors Inc., Miami, Fla.
Tyler Houghton, field engineer, Superior Construction Company Southeast LLC, Jacksonville, Fla.
Peter Kinevich, safety specialist, Allan Myers, West Chester, Pa.
Bradley Leckert, senior project manager, Barriere Construction Company LLC, New Orleans, La. Andrew Maniotis, project manager, Ranger Construction Industries Inc., West Palm Beach, Fla.
Michael Max, safety director, Silver Star Construction Co. Inc., Moore, Okla.
Gregory Moakley, vice president safety, NEL Corporation, Peabody, Mass. Omar Percy, group HS&E manager, Sundt, Metairie, La. Brad Pittsnogle, construction manager, AECOM, Hunt Valley, Md. Scott Quigley, general superintendent, Barriere Construction LLC, Baton Rouge, La. Gregory Reilly, project manager, Ranger Construction Industries Inc., West Palm Beach, Fla.
James Riley, superintendent, Barriere Construction Company LLC, Franklinton, La. Christopher Rowan, project manager, Barriere Construction Company LLC, Baton Rouge, La. Michael Ryan, project manager, Barriere Construction Company LLC, Slidell, La. Paul Schwager, assistant project manager, Ranger Construction, Singer Island, Fla.
William Sigafoose, senior project manager, Allan Myers, Prince Frederick, Md. Tyler Smith, project manager, Ranger Construction Industries Inc., West Palm Beach, Fla.
Gilberto Torrens, area safety manager, OHL Community Asphalt, West Palm Beach, Fla.
Alejandro Uribe, project manager, Ranger Construction, West Palm Beach, Fla.
Joseph Yesvetz, assistant construction manager, Hill International Inc., Orwigsburg, Pa. The SCTPP exam contains up to 120 multiple-choice questions that probe knowledge in: assessing project risks; creating project safety plans; implementing and conducting ongoing evaluation of a site-specific operational safety plan; and conducting incident investigations. Additional information about the program can be found at www.puttingsafetyfirst.org. The SCTPP program is a signature initiative of the ARTBA Transportation Development Foundation, a 501(c)(3) tax-exempt entity established in 1985 to "promote research, education and public awareness" about the impacts of transportation investment. For more information, visit www.artbatdf.org.